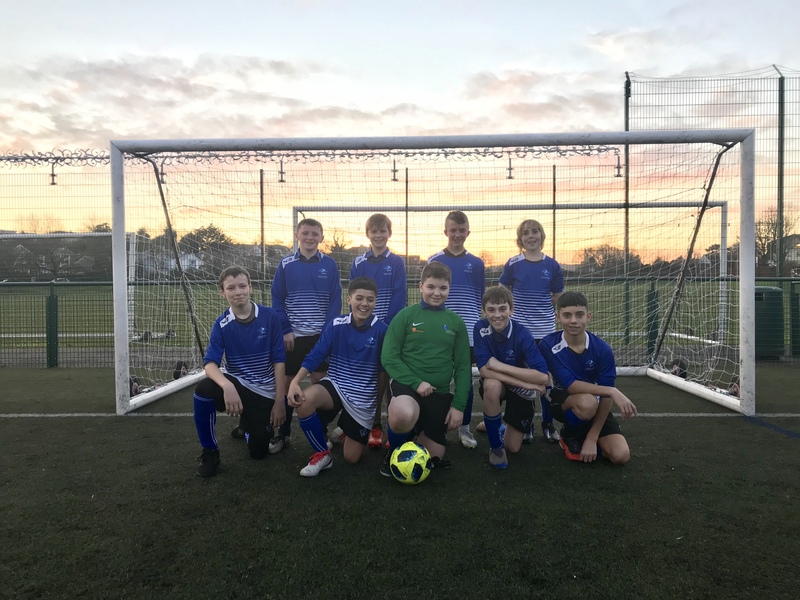 The Year 8 boys’ football team produced a spirited performance in their South Devon Cup clash at Torquay Academy. After a fantastic, fast start, Paignton took the lead with Charlie Thomas finishing calmly following a sharp attacking move. The boys continued to play some excellent passing football which deserved further reward. However, Torquay Academy, one of the stronger and most experienced teams in the Under 13 competition, began to recover their composure, resulting in a first half that was a brilliant advert for South Devon soccer!! Torquay Academy fought back well, grew in confidence and went 3-1 ahead, until another well-worked goal from Kobi Bailey, just before half time, meant that the game was set up perfectly for a thrilling second half! Paignton began the second period on the front foot once more, but it was Torquay Academy who managed to slowly gain the upper hand in the midfield battleground as they surged into an ultimately unassailable 7-2 lead. Paignton, to their huge credit, kept fighting with an impressive unity and determination until the end of the game, with a further poacher’s finish from ‘fox-in-the-box’, Jay Veysey, quickly followed by another Charlie Thomas headed goal which was unfortunately disallowed. In the end Torquay Academy were very good value for their 7-3 win, but Paignton should be very proud of their team spirit and attitude throughout this extremely entertaining Cup tie match. Well played lads – hold your heads high!